Buy XFX Core Edition PRO 650W using NewEgg promo code and get $20 off its price. Not only the promo code carries a discount but it also offers free shipping. The XFX Core Edition PRO650W received a 4 out of 5 star rating. 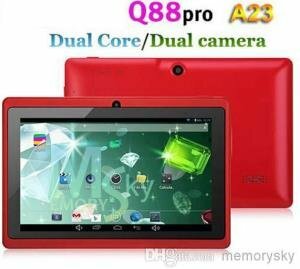 You can see more details about this product below and the reviews can be found at the link below. 80 PLUS BRONZE Certified power supply provides high power efficiency of at least 82% at any load between 20% and 100%, saving your money on your electrical bill, reducing heat in your computer’s system and prolonging its life. EasyRail for Maximum Power – Unique, continuous EasyRail technology enables you to maximize available power and make set-up easy. 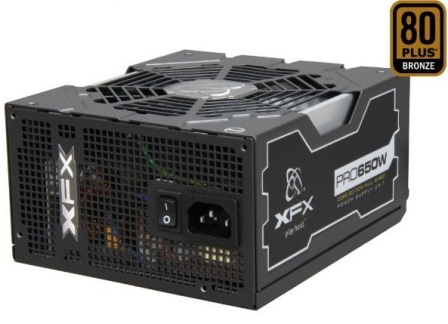 The XFX Core Edition PRO650W (P1-650S-NLB9) is capable of delivering 650W of continuous output even at well above standard operating conditions such as 50°C. Single, high-power +12V rail with EasyRail technology providing up to 53A ensures the maximum provision of 12V power to multi-core CPUs and energy-hungry GPUs. Stack numerous power-hungry components without fear of crashing! Japanese Brand Capacitors (105°C) – The PSU utilizes highly reliable Japanese brand capacitors for exceptional stability and product lifespan. 135mm Silent Ball Bearing Fan – The 135mm ball bearing fan provides superior cooling performance to dissipate heat in the power supply enclosure while running whisper-quiet. NVIDIA SLI Ready Certified – Coming with 2x PCI-E 6-pin and 2x PCI-E 6+2-pin connectors, the XFX Core Edition PRO650W (P1-650S-NLB9) allows you to build a SLI or CrossFireX gaming system. Clean Power – Power drawn from your AC outlet is typically dirty with voltage spikes and fluctuations, which can harm vital PC components. XFX PSUs are designed to deliver tight DC voltage regulation with minimal AC ripple, giving you safer, cleaner power. This can also reduce audio distortion and screen flicker especially for high power gaming systems. Corsair AX1200i, AX860i and AX760i 80 Plus Platinum Digital Modular PSU now Available!